Keydata Investment Services Limited (Keydata) designed and distributed investment products both directly and via Independent Financial Advisers (IFAs). Customers’ money was invested in bonds issued by one of two Luxembourg-based companies, SLS Capital SA and Lifemark SA, which used the money raised to buy portfolios of US senior life settlement policies. Keydata was put into administration in June 2009 on the basis that it was insolvent, in part due to the discovery that many Keydata plans were not eligible for ISA status and that the company could, therefore, face an unexpected tax liability of as much as £12m that it could not pay. Five months later, the Financial Services Compensation Scheme (FSCS) confirmed that Keydata was in default and therefore unable or likely to be unable to pay claims against it. The FSCS can award up to £50,000 per investor per firm. To date, the FSCS has paid out more than £330m in compensation to Keydata investors, most of whom had purchased investments incorrectly promoted as ISAs. Many were advised to invest far beyond the FSCS compensation limit of £50,000 however and will continue to have suffered what is, in many cases, a significant loss as a result of their Keydata investment. 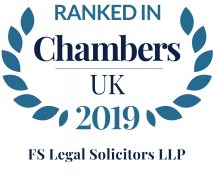 We have considerable experience in acting for Keydata investors in both legal proceedings and in FSCS referrals and have recovered those losses for those investors in every case. We also act on a fully contingent (‘no win no fee’) basis in each one of those cases. Even if FSCS compensation has been received already, a claim can still be made against your IFA. To discuss your situation in more detail please call 0161 714 4520 or Birmingham on 01384 889900. Please note that time to make your claim is limited and you will not be able to claim against your IFA for your Keydata losses after that point.